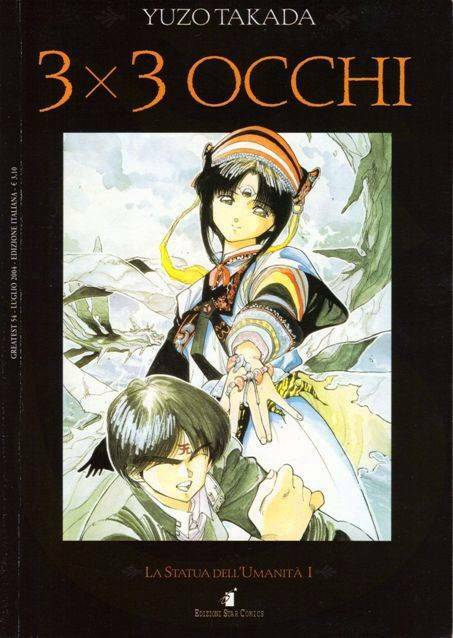 Anime, manga, japanese art and culture with a look on comics and "Not-only-Jap" animation. For high schooler Kei, and for at least forty-six others, immortality comes as the nastiest surprise ever. Sadly for Kei, such a feat doesn't make him a superhero. In the eyes of both the general public and governments, he's a rare specimen who needs to be hunted down and handed over to scientists to be experimented on for life, a demi-human who must die a thousand deaths for the benefit of humanity. Tozai è un centro culturale giapponese organizza molteplici attività legate al Giappone. Il centro culturale giapponese Tozai nasce nel lontano 2001, e sin dalla nascita ha trovato in Milano un ottimo punto di incontro tra la comunità italiana e quella giapponese. Ma cosa vuol dire Tozai? Tozai è l`unione di due parole giapponesi che esprime rispettivamente il concetto di Est ed Ovest. Le abbiamo scelte perché' la nostra attività è rivolta allo scambio tra i due paesi. Il centro culturale giapponese, concentra maggiormente l'attenzione sulla lingua giapponese, primo passo necessario per poter comunicare e comprendere meglio la cultura del paese. Ami il Giappone e vuoi conoscerlo di più? Sei già stato in Giappone e vuoi raccontare la tua esperienza? Vieni a conoscerci, ti aspettiamo! This is a Masters Project done at Teesside University. In this project, surreal methods have been used to juxtapose the multiple 3d elements. ''Moving Buildings'' Festival 2011 Amstelveen, Netherlands. Presently I am working as a Digital Compositor and Motion Designer at Liquid TV and also worked for more than 12 years for Film, Television Channels such as BBC, Discovery, ITV, CNBCTV 18 and involved with major commercial brands Sony, Lenovo, HP, Nikon, Panasonic and Royal Enfield. 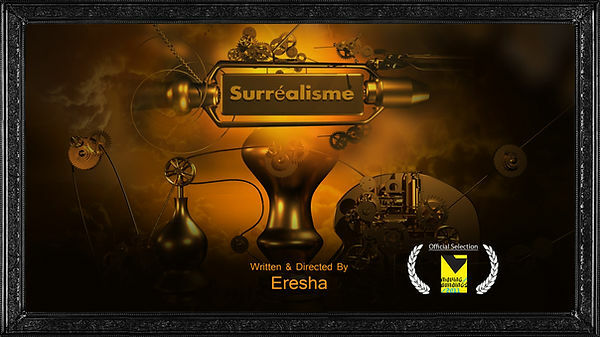 My VFX Short film ‘’Mara’’ won Best VFX award at ‘’Cortoons’’ International short Animated film Festival of Rome, and got First Runner-Up award at ‘’Animex’’ International Festival of Animation and Computer Games. Check out this fantastic CGI animated short film, made entirely by the talented students from the animation school, PrimerFrame! Synopsis: A war between two great powers is sweeping a planet. Both sides support their respective communication satellites orbiting in the limits of the atmosphere. Its two crew crossing every day at the same time from their respective ships, and all the rivalry of the planet is not enough to stop the love that is about to emerge. Felix Joleanes, Justin Neri (projectoverlord), Stefan Minning (NormalityAE), HAMZAXDESIGN (freedom font), Albert Alomar (Rs PointCache Merger), John Rand (FXBBQ y FX Floater, Bobby Pontillas, Arcadio Malasombra, Friendsheepers, Vendedores, Vecinos, Ladrones, Geos y, por supuesto, a todas nuestras familias y amigos por su apoyo. On the night of one day, the passage had become a quiet river just like a mirror. This story is a tale in which the goldfish which grew old, and the grandma of dementia go down the river of memory. It made on the theme of unstable memory like water. This film is the graduation production made at Tokyo University of the Arts. 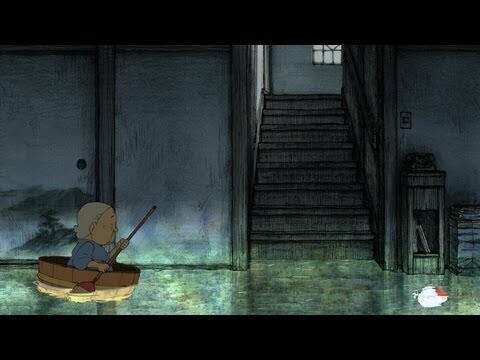 Animation from COFA student Sushan Yue, winner of the Wacom Award for best 2D work at the 2010 COFA Annual Awards. Sushan Yue's The Butterfly Dragon is a gorgeous piece of art. The artform of traditional, 'hand drawn' animation has, I think, only grown more beautiful given the modern prevalence of computer generated animation in the film realm. Yue's film is a fable like tale, with an almost spiritual, esoteric quality to it. The predominately purple visual palate is contrasted stunningly with the ethereal, stark white beings that populate it. 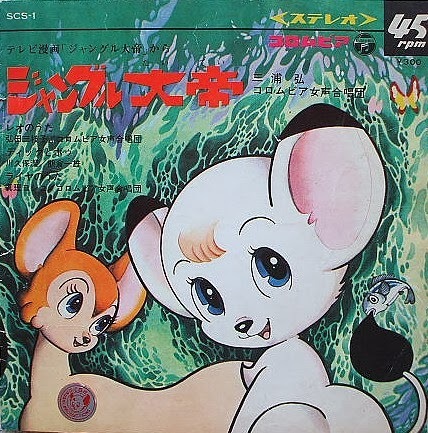 The animation in the film is dynamic and Yue has not been afraid to try things that are out of the ordinary. My favourite shot is a short one, from a first person point of view of an animal bounding excitedly away. Just like All Bound which we featured in the Online Cinema last week, The Butterfly Dragon features an impressively matched soundtrack which draws out the themes and emotions of the film. Narratively, I think it is one of those great stories from which everyone can take their own meaning. For me the film depicted some of the trials that we all go through in life - the failures, lessons and growth that combine to define someone. There was also an interesting repeated suggestion of guardian angels through the film, the ethereal white beings who exist to save and teach the film's young protagonist. In its short running time, The Butterfly Dragon also manages to create a tender parent-child dynamic, as these two beings interact, interrelate and are forced to change their relationship. And the entire joyful experience is rendered in animation that will move you simply through its distinctive and artistic formulation. Your film is such a beautiful example of traditional or 'hand-drawn' animation. Although I assume that most of the work is computer based these days. Could you give us an insight into the process of bringing these films to life? The production process for traditional animation is very similar to films created using other media in that it begins with developing ideas for the story, designing characters and setting, and drawing up storyboards. From the storyboard the animatic is created, which determines the length of each shot and the film as a whole, and then comes animation. The program I used to animate was Photoshop CS5 so I actually drew everything straight onto the computer. The animation process is broken up into a couple of stages: keyframes, in-betweening, and clean-up. For each of my shots I have rough sketches of the background done first before I start drawing in the keyframes of each character. After the keyframes, I start the task of filling in the rest of the animation (the in-between frames). I do test renders constantly as they track my progress for each shot and also help me pick up any timing issues. 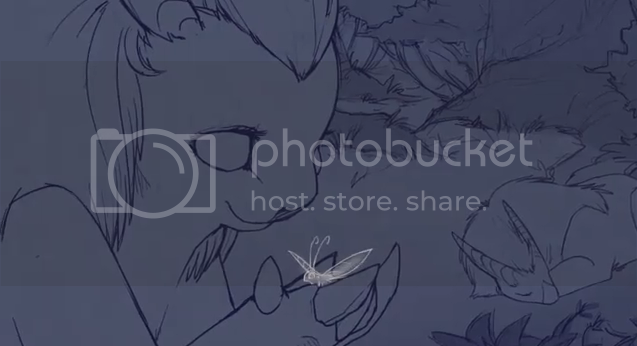 Since I opted for a sketchy art style, clean-up for me mostly involved detailing the backgrounds and fixing up movement(s) of tails, wings, hair, etc. After completing the animation, colour is added to characters and backgrounds. That and applying textures were the last things I did before rendering out each shot properly. For my film, post-production was handled in After Effects and included adding scene transitions, audio, and credits, and doing the final render of the film. And how long, from start to finish, was the process of making the film? All up the production of the film took about nine months from March to mid November. Pre-production took place in the first three months, the following six months were spent doing the animation, and post-production was done in the last two or so weeks. Could you tell us a little about the story of the film? The inspiration behind it and any special meaning it has for you? A couple of years ago I came across a Latin phrase, "Est deus in nobis", which means "there is a god inside us". It was this phrase that gave me the idea of a bunch of little creatures who 'grow up' by creating masks--faces of their very own. These masks are an expression of each creature's individuality and have the ability to transform the one who made it into something wonderful and unique. 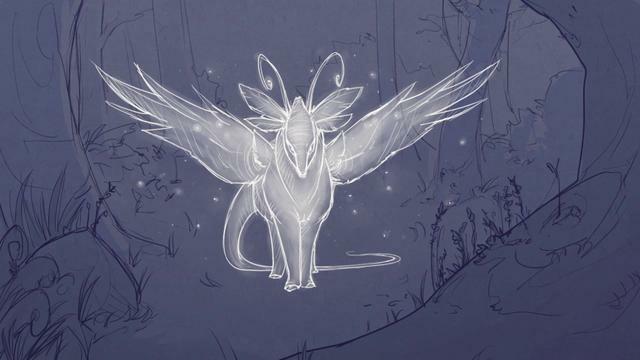 My film, then, follows the adventure of one such creature discovering the concept of individuality, imagination personified as a butterfly and a dragon. It is, in essence, a story all about the power of one's imagination, the unlocking of creativity within you, and the gift of sharing it with others, to help them do the same. Do you have a favourite shot or scene from the film? I'd have to say my favourite scene is the ending, specifically the final two shots before the credits. As a short filmmaker, what were the major challenges you faced getting the film made? Getting the story together was a major challenge, actually. Since the film was my graduating piece from COFA, I had a deadline to meet … and a traditional animation with an initial storyboard 45 pages long was going to be a bit difficult to make in a couple of months. I had to scrap a number of ideas and rework the story so that it would be much shorter/more manageable. Another major challenge I faced was rendering. The file sizes for some of the shots became so large because they were either enormous dimensions-wise or contained so many layers (or both) that when I tried to render the finished shots in Photoshop, it would crash the program. Rendering out the final animation in After Effects was also a nightmare; that program would frequently crash too. Tell us about the journey the film has taken since you made it. Other festivals it has played at etc. Since making the film I have spent a lot of time building the world of the butterfly dragon, creating some more masked characters and fleshing out their 'culture' as I would love to produce more short films set in their world. Currently I am collaborating with another short filmmaker. We are planning on making a 2D animation (though not related to my film), which, if all goes well, may become something like a mini web series in the future. What is your predominant source of inspiration for your films? Is it animated films, live-action ones, art, literature? I have drawn ideas from a number of places including art and literature, but I find that I am inspired the most when I am listening to music, particularly pieces that are purely instrumental. As music isn't a visual medium I am free to let my imagination run with the melody, which means stories and characters can form more easily in my mind. It's then just a process of building on the ideas that are the most interesting and/or have the most potential. What are some of your favourite animated films, particularly ones that we may not have heard of? There are many animated films that I enjoy very much as I love the medium itself. My favourites include: from Walt Disney Animation Studios, The Fox and the Hound and Alice in Wonderland; Hayao Miyazaki's Laputa: Castle in the Sky; Cartoon Saloon's The Secret of Kells; Dianne Jackson's The Snowman; and Katsuhiro Otomo's Memories. Disney or Pixar? Or both? Or neither? Both Disney and Pixar. Each studio produces its own fantastic animations with wonderful stories and characters; their movies are always a joy to watch. Could you give us a list of your five favourite films of all time (feel free to give a short reason or just the title)? It's really hard to choose as there are many great films out there, but I would have to say my top five favourite films are: The Fox and the Hound, The Secret of NIMH, The Land before Time, The Prince of Egypt and Fantasia (1940). Oscar's Oasis (French Oscar & Co) is a non-verbal animated cartoon produced by TeamTO and Tuba Entertainment in association with Cake Entertainment based on the original show broadcast on Disney Channel Asia. It started as a series of 1-2 minute shorts under the title Ooohhh Asis. 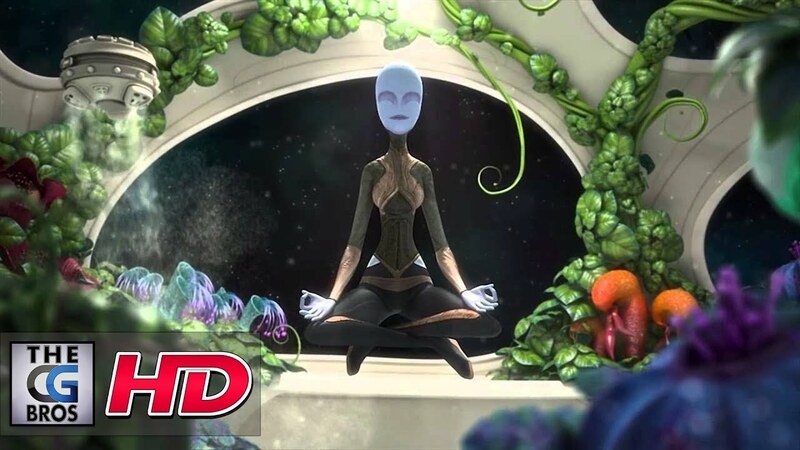 Oscar's Oasis can be viewed on the Nintendo 3DS in 3D. In the United States and United Kingdom, all episodes can be seen on Netflix Streaming. In Latin America and Brazil, the Spanish and Portuguese dub airs on Cartoon Network Latin America. Oscar - The main character of the show. He is a lizard that is always getting into trouble with the trio – Popy, Buck, and Harchi – and the chickens too. Oscar is always trying to catch flies and find some water, but most of the time things don’t come out right. Whenever he has something interesting, the trio always tries to take it from him. Whilst he in turn often tries to steal the trio's food. Popy - a fennec fox, the boss of the trio, the one who gives the orders. As shown in the episodes Pronto Express and Bad Seed, she is also greedy. Buck - a vulture, the nerd of the trio, he always approves when Harchi gets yelled at by Popy. Harchi - a hyena, the brawn of the trio, he is given the physical jobs. He normally acts as the driving force behind the makeshift cart that he along with his friends chase Oscar or the chickens with. In the event of them taking a collective tumble, it’s he who catches everyone so they avoid the ravine. Sometimes he can also show stupidity. 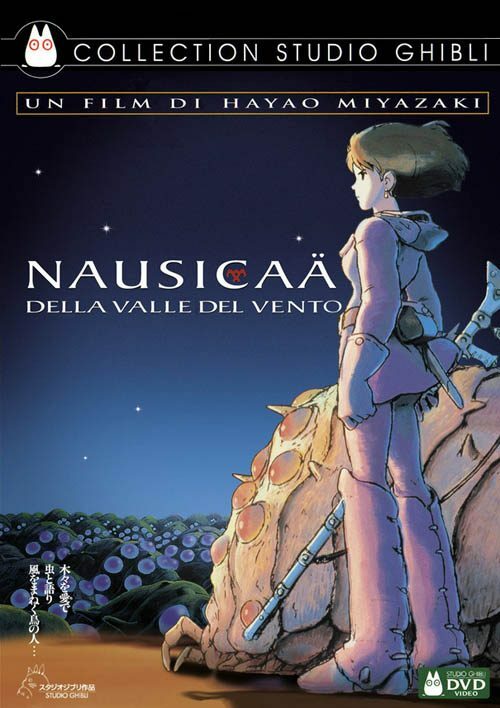 Animenokaze-Zero was initially created for an Italian audience. Given the success from many countries it was decided to make it multi-lingual. The conversion work is complex, so you will still find some pages only in Italian. We will translate them. We will use the French, the Spanish, the Portuguese language, the Japanese language and many others. 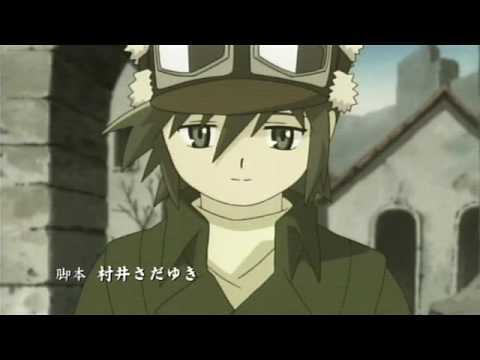 Kiseki no Umi - "Record of the Lodoss War"
Shingeki no Kyojin 進撃の巨人 OP / Opening - "Guren no Yumiya"
Questo è un blog Amatoriale che non persegue fini commerciali. I marchi relativi a video, immagini, testi e ad ogni altro contenuto sono di proprietà e pertinenza dei rispettivi autori/editori e sono illustrati esclusivamente a fini culturali. Animenokaze-Zero is a non-profit website. (c) 2013 - Animenokaze Anime Network Project. Awesome Inc. theme. Theme images by mammuth. Powered by Blogger.